Calling All Beauty Ballers: Would You Try a Face Mask for $5k? Would you pay $5K for an at home face mask? 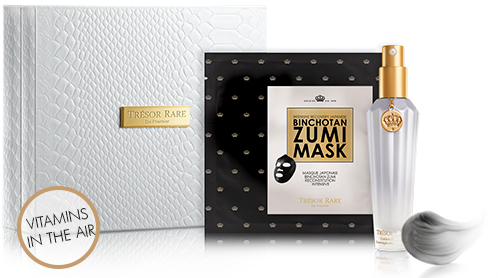 Well if you are a true beauty baller, the Intensive Recovery Japanese Binchotan Zumi Mask from Tresor Rare is an ultra precise, high performance, intensive age defying treatment mask perfectly adapted to the skin. The formula helps in detoxifying, lifting, refining skin texture, and reducing the appearance of wrinkles. Made from active charcoal, which is capable of balancing skin and making you look younger and more vibrant by releasing negative ions also known as Vitamins in the Air. The once a week ten minute treatment is made from 100% skin friendly plant fiber which is biodegradable. With 12 masks to a box that averages out to $417 each are you up to the splurge?